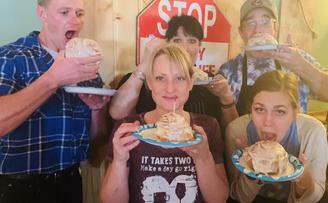 Welcome to Connie's Restaurant & Saloon and see why people in Island Park, Idaho visit the best in a dine-in restaurant and saloon. If you're looking for the best place to stop for a quality meal and/or catering services, you couldn't have come to a better place! Connie's Restaurant & Saloon is a well known and established eatery that is recognized for its outstanding selection of mouthwatering dishes and prompt friendly service. Travelers and locals alike come to us for the great food, awesome service, and the warm friendly atmosphere that instantly makes you feel welcomed, appreciated and at home. Jim and Connie Funkhouser have owned and operated the historic Island Park Lodge for 25 years. We are now excited to share with you our new restaurant, "Connie's." We take great pride in the quality of each menu item as well as the service provided. For a truly enjoyable variety of delicious entrées we offer Prime Rib cooked to perfection, tender fall off the bone BBQ Baby Back Ribs, specialty pasta dishes, home of the original Sawtell Burger and everything in between. Do not forget to order dessert. Our pies are baked on the premises and a choice of ice cream will compliment any meal. We offer a full-service saloon to start off your meal or you can just come in to visit with travelers and locals. Enjoy illustrious conversations with family and friends over great food and service here at Connie's Restaurant & Saloon. In late December 2014 we moved our business directly across Interstate 20 from Island Park Lodge to a new and updated facility. Connie has always envisioned owning the building that held so much potential. After years of patient waiting and timing to be just right, the opportunity finally presented itself. Came time to name our new location, my husband Jim was the one that thought of and decided on "Connie's." Being the business mind behind the operation, he was confident that our local clientele and visitors to our Community would follow the name and reputation over to our new location. We continue to serve our well established menu by our same friendly and efficient staff. Within our new location we've added the Island Park Fitness Center, Daisy's Angels' Boutique and Mountain Glamour Salon. After being at our new location for a year, we are able to prepare a wider variety of entrée choices, serve more customers and offer an abundance of options to customers and visitors. So if you're looking for the best place in Island Park Idaho to dine in or take out, enjoy an adult beverage, shop and more, there's only one name to remember - Connie's Restaurant & Saloon! 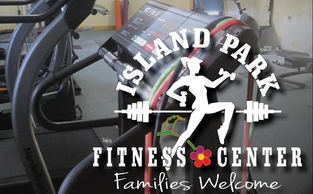 "Excellent Food, Excellent Service and Great Prices"
Introducing our Island Park Fitness Center. 1, 3, 7 day or month Memberships available.